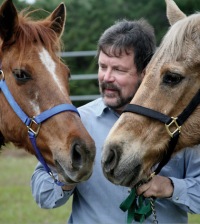 Working with horses takes an awareness of their nature. If they get frightened, they don’t stop and think before reacting. And that reaction can get them and you into trouble. A frightened horse can break through a fence, drag a handler, kick out or any number of dangerous responses. So to stay safe, we need to take this tendency into account, no matter if we are handling, driving or riding our horses. Some situations, like riding at night, along road sides or on multi-use trails takes special precautions. No one likes pages and pages of rules to follow, but to stay safe and have fun, safety rules are essential. Check out All About Safety With Horses for lots of tips and advice to help you stay safe and have fun. Horses are large animals whose instinct any perceived danger is flight. Even if a horse does not intentionally set out to hurt you, it can do a lot of damage just through the way it reacts. If a horse is frightened it will go over, under or through almost anything to try to get away. That includes stall doors, fences, trailer partitions or even you. To stay safe around horses we need to respect this instinct and protect ourselves. Nobody likes rules, but no one likes to get hurt (or worse) either. Putting safety before everything else ensures we will be able to enjoy our horses, without undue worry about our physical wellbeing. Whether you are learning to handle your first horse or just enjoy leaning over the fence watching, learning a few safety precautions will prevent accidents and injuries. The calmest horse or smallest pony has the potential to hurt someone if it is startled or scared. These recommendations may help you avoid kicks, trampled toes, bites, drags, or run-aways. If you are just starting out, you may feel a bit overwhelmed at all you need to remember. But quickly safety rules become habits, just like looking both ways before crossing the street. As prey animals, a horse’s ability to react quickly and out-run a predator was key to their survival in the wild. This instinct remains strong in domestic horses. Be calm and quiet. Sudden moves can cause a horse to shy (jump sideways) or kick out. The safest way to lead a horse is with a halter and lead rope. Don’t hook your fingers through the halter straps, rings or the bit. If the horse pulls away, your fingers could be caught, injuring them or catching your hand so that you are dragged. Never stand directly behind a horse. If you are grooming its tail, stand to one side and pull the tail gently over. When cleaning a horse’s hooves or putting on leg bandages, don’t squat or kneel. Bend over so that if the horse moves you can get out of the way quickly. 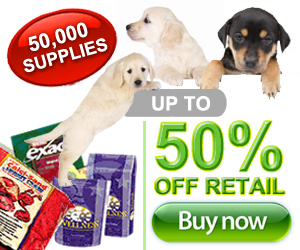 Never loop lead ropes, longe lines, or reins around your hands or any other body part. If your horse pulls away, you could be dragged. 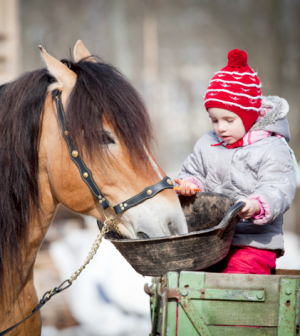 Wear sturdy shoes or boots that will protect your feet if your horse or pony steps on them. No sandals or thin shoes! When tying use a quick release knot or panic snap so that if your horse gets scared and pulls he can quickly be freed. The feeling of being constrained can make a scared horse panic to the point of hurting himself or you. 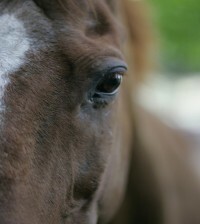 The safest place to stand is beside your horse’s shoulder where you can see each other, or about 10 or more feet away. When grooming, saddling up, or cleaning your horse’s stall, tie your horse up. A loose horse in a barn can cause havoc. And don’t leave a tied horse unattended. When going through a doorway, make sure the door is wide open so the horse doesn’t hit itself on it. This can startle the horse and result in you being trampled or dragged.